Many people who are lacking omega-3s in their diet will turn to fish and krill oil as a convenient source of these essential fatty acids. But oils come with nasty side effects including bad breath, “fish burps,” nausea, heartburn, and loose stools, and are not an option for vegetarians. Furthermore, the scientific literature on these capsules is conflicted, with some studies claiming they reduce the risk of heart disease, stroke, breast cancer, and arthritis, and others asserting that no such relationship exists and that they may actually cause more harm than good. Where do fish get their omega-3s from anyway? These fatty acids are called essential because they cannot be made by the body, so like us, fish must get them from their diet. Fish that are rich in omega-3s consume many microscopic algae, like Spirulina, Dunaliella Salina, Haematoccocus Pluvialis, and many others, which contain an array of fatty acids including the omega-3s eicosapentaenoic acid (EPA) and docosahexaenoic acid (DHA). So why not cut out the middle man and get your omega-3s straight from the source? The two main omega-3s found in salmon and the algae they consume are EPA and DHA. By now, the benefits of these compounds have been well established. In particular, they act as anti-inflammatory agents, reduce the potential for blood clots, combat cholesterol, and are neuro-protective. The Western diet tends to be deficient in EPA and DHA, which is why it is often recommended to supplement the diet with fish oils. However, omega-3s found in algae are actually many times more bioavailable than those found in fish oil, meaning that they are better assimilated by the body. Fish oil omega-3s are mainly found in triglyceride form, which makes them insoluble in water. This is why it is common to get “fish burps” after swallowing fish oil capsules; the nonpolar triglyceride molecules don’t mix well with the polar acidic content of your stomach. As a result, special bile salts must be produced by the stomach and small intestine in order to absorb the omega-3s. Algae, on the other hand, contain omega-3s bound to polar-lipids. These are digested more easily by the small intestine and do not depend on bile to be dissolved. Polar-lipids also have the unique ability to move easily across the cell membrane, which is composed of lipid molecules. As such, compounds connected to these polar-lipids are readily transported to the cell where they can be used for numerous life-processes with high bioavailability. 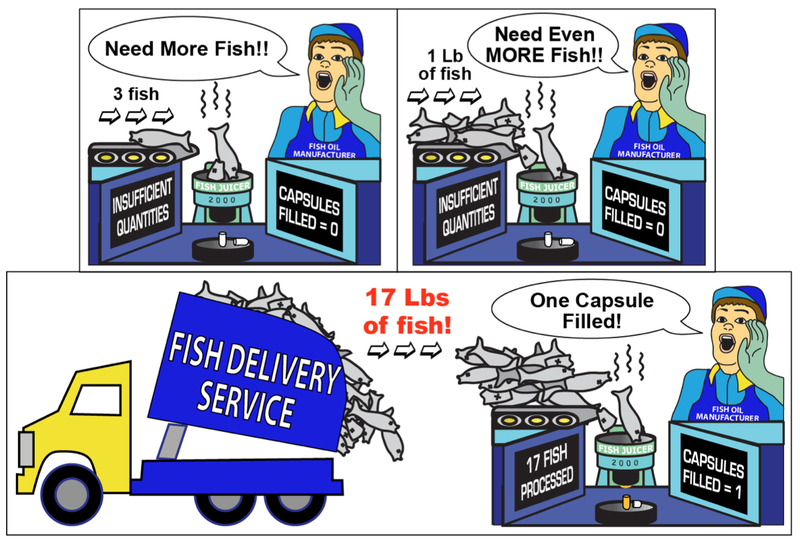 Did you know that it takes 17 pounds of fish to make just one capsule of fish oil? Current sources of fish oil face serious sustainability issues, and Americans spend more than $1 billion per year on over the counter fish oil supplements suggesting that the industry won’t be slowing down anytime soon. 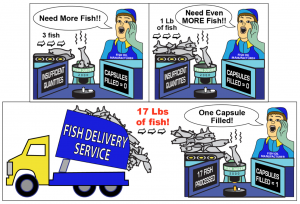 It doesn’t help that fish oil capsules can go rancid and spoil very quickly if not kept in optimal conditions, so how many liters of wasted oil and how many consumer dollars does that amount to? Krill oil was commercialized in order to provide an alternative source of DHA and reduce the threat of overfishing. Given the number of marine species that rely on krill as a source of food, however, this substitute has raised concerns from wildlife organizations and some merchants including Whole Foods have gone so far as to remove it from their shelves. As the demand for omega-3s continues to grow, sustainable, plant-based sources must be developed, and algae are currently the best option. Microalgae can be grown indoors where they are protected from variables in the environment such as pollution, sunlight, carbon dioxide and more. Algae has a quick growth cycle, which means that it is always in season, and can be freeze-dried and stored for decades at room temperature. Currently, algae is the most sustainable, vegetarian source of omega-3s. When it comes to maintaining and promoting health, the best solution is always to try to get your nutritional requirements from your diet by eating a diverse range of foods. 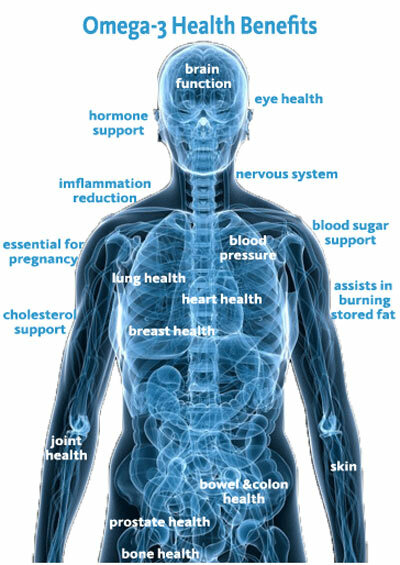 This is because a whole orchestra of naturally occurring vitamins, minerals, and fats are necessary for good health, rather than just one or two taken out of proportion. If you are taking fish oils in order to supplement your diet with omega-3 fatty acids, consider substituting whole foods such as fresh fish, seaweeds, beans flaxseed, chia seeds, walnuts and many others. Just one or two servings per day of these foods can help you avoid an omega-3 deficiency. But if you absolutely need a more convenient option, opt for algae. And finally we highly recommend to add Bio-Algae Concentrates (BAC) as a complement to your diet, as BAC is a complete food in itself and NOT a food supplement. 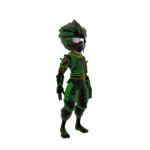 BAC is not made of one, but four microalgae. Working in concert with each other, these algae provide the body with all sorts of fatty acids not limited to omega-3s, including omega 6, 9, Gama Linoleic Acid (GLA) and others, all occurring naturally and in balance as nature intends. Consuming BAC will supply a rare array of necessary fatty acids, but more importantly, it was showed in extensive research that consuming BAC regularly positively impacts brain health which leads to an increased assimilation of all other nutrients in your diet. 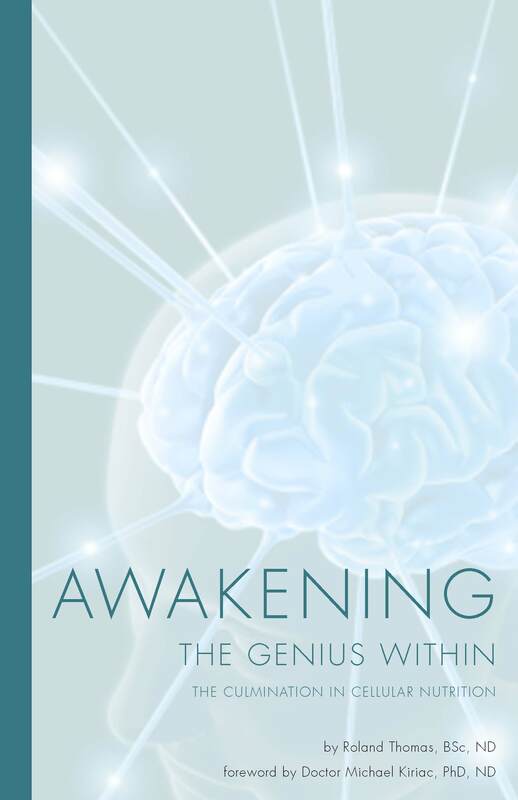 Read the full details of this research – get the FREE online version or get the paperback version at Awakening The Genius Within. I AM SORRY FOR THIS SLOW RESPONSE GETTING BACK TO YOU – There is this rumor or partial truth that algae as chelation effect. I look at it in a different way, and certainly when we are talking about the bio-algae concentrates that I consume and promote, then the effects or resulting benefits of consuming BAC on a regular basis is the awakening of our metabolism to perform closer to their normal high energy performance. In turn with this new energy or frequent burst of energy, then it is the cells of our blood, of our arterial wall, of our organs that perform chelation and resulting in better absorption or detoxification…. that is our natural youthful power. When consuming BAC, my clients see great results detoxing heavy metals and great results in higher assimilation of their regular daily foods.